W e are very pleased to announce that we have received a $10,000 grant from the John H. Emery Rail Heritage Trust. These funds will be used to continue restoration work on the Friends’ former Reading Company coach #1158. We sincerely thank the John H. Emery Rail Heritage Trust for their most generous grant. 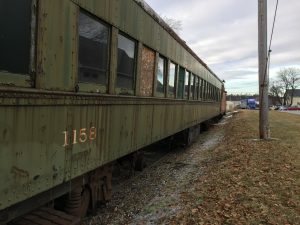 We encourage anyone with an interest in passenger coach preservation and restoration to join in on this project. Matt Mundis, one of our project managers, would love to hear from you. 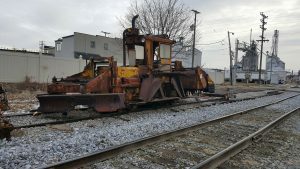 Stay tuned for updates as we continue to restore coach 1158 into her former Reading Railroad glory. 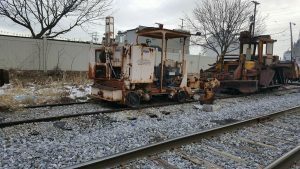 The Friends of the Stewartstown Railroad, Inc. is pleased to announce that we have received a generous gift from the Tom E. Dailey Foundation. These funds will be used to rehabilitate the outside of coach 1341. We sincerely thank the Tom E. Dailey Foundation for this most generous gift! 2018 Stewartstown Railroad Calendars Now Available! 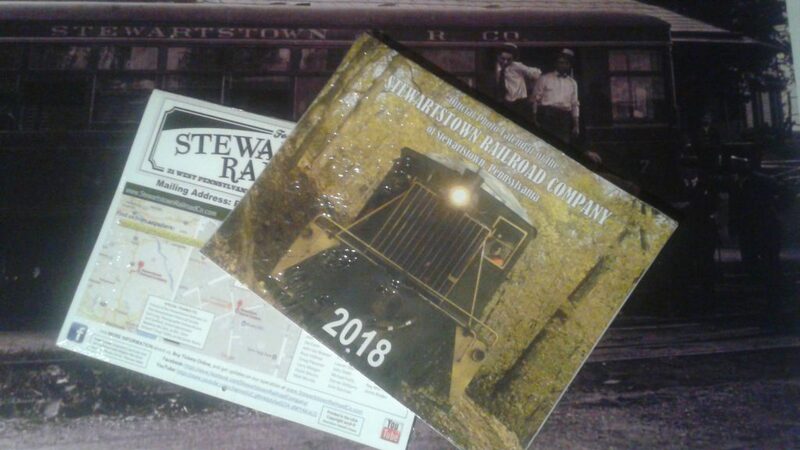 Get your official 2018 Stewartstown Railroad Calendar for just $15! 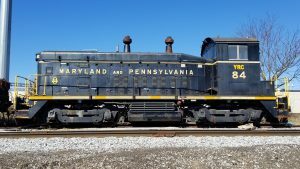 Enjoy riding the Stewartstown Railroad train pulled by legendary locomotive #9, the “Mighty Mo,” from Stewartstown through the Bailey Springs neighborhood and into the woods! Trains leave the station at 21 West Pennsylvania Avenue (PA Route 851), in Stewartstown, PA 17363 at 11:30 a.m., 1:30 p.m., and 2:30 p.m. each day. Tickets for these rides cost $12 for adults, $11 for seniors, and $10 for youngsters aged 12 years and under. Lap children 2 and under ride for FREE! Support the Friends of the Stewartstown Railroad when you shop at Amazon.com at http://smile.amazon.com/ch/20-5894485 and Amazon donates.